We were very pleased to pay a visit to this year’s winners of the Andrew Buxton Memorial Award for the best kept set of accounts. The winners are Bakewell Town and Community Trust, and they made us very welcome at their offices in Bakewell Town Hall. 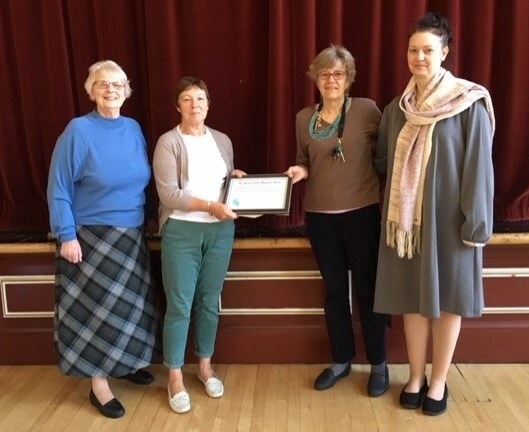 The award was presented by Mrs Janet Buxton.